Erica is originally from Nova Scotia and obtained her B.Sc. from Queen's University in Biology. She did a quick stint in the Netherlands as a horseback rider and returned to school and started her Master's in genetics at University of California-Davis. 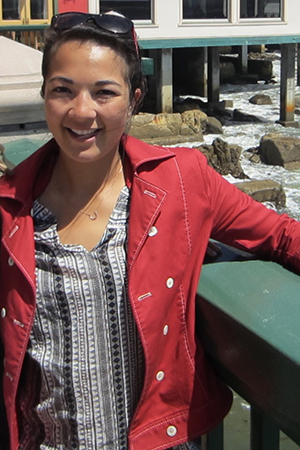 She liked California so much that she stayed for a Ph.D. in Animal Biology (UC Davis) where she focused on the genetic and molecular mechanisms underlying cerebellar abiotrophy in horses. She has also done bioinformatics in the horse, developing protein-coding and long non-coding RNA transcriptomes. Outside of the lab she likes to do many outdoor things such as horseback ride, mountain bike, hike, ski, surf, fishing etc. and she also likes to cook and watch chick-flicks.